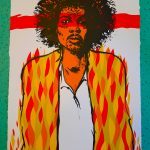 Jermaine Rogers has finally released the ‘Jackalope’ Gallery Edition Art Print. This long-awaited piece was meticulously printed by the masters at Lady Lazarus Press. 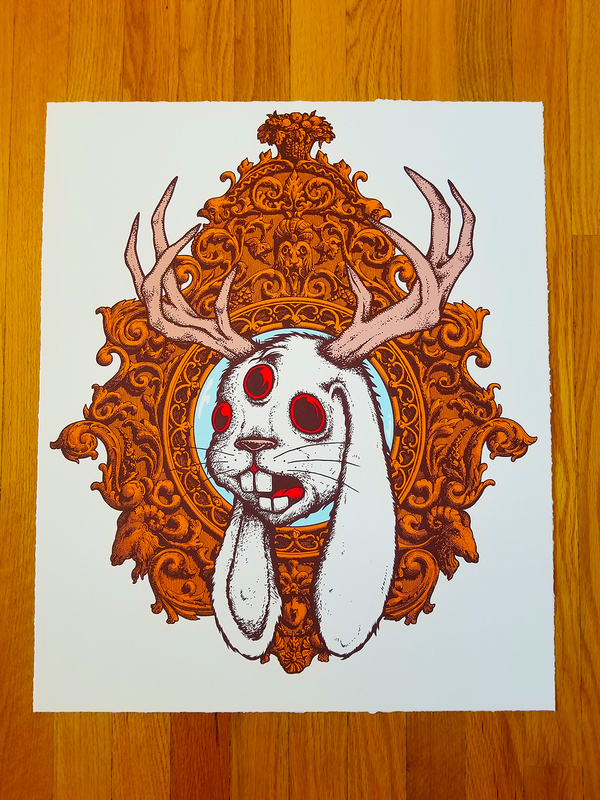 Printed with rich inks on gallery hand-torn cotton rag, each piece measures 24×20 inches and is also hand-embossed with the Jermaine Rogers ‘Carry’ bunnies logo. This imagery was made classic by it’s official use for the 2010 BlackDiamondSkye Tour, featuring Alice In Chains, Deftones, and Mastodon. 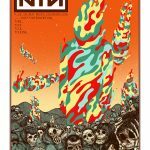 Fans have been inquiring about a proper gallery-style art print for years: for those of you who have been waiting, here’s your shot. Signed and numbered from an edition of only 70 pcs. The ‘Jackalope’ Opal Variant is printed with striking inks on rich Stardream Opal stock (with a semi-metallic hue). This edition includes a color variation as well, substituting a metallic copper ink in place of the burnished orange on the Gallery Edition. Each piece measures 24×20 inches with straight-cut edges, and is also hand-embossed with the Jermaine Rogers ‘Carry’ bunnies logo. Signed and numbered from an edition of only 60 pcs. The Keyline Proof Edition is printed with striking ink on gallery cotton rag with hand-torn edges. Each piece measures 24×20 inches and is also hand-embossed with the Jermaine Rogers ‘Carry’ bunnies logo. A splendid opportunity to view the undisturbed line artwork in it’s raw form. Note: Random copies will be remarqued. Signed and numbered from a very limited edition of only 20 pcs.